How do I track the history of changes to a given verse's actual text? How do I discover it's “lineage”? Has there been a project that traces the genealogy of each verse of the scripture? I.e., for each verse, it traces back through all the documents it was translated from, the default translations at the time, ... all the way back to historically verifiable fragments? I'm not talking about a generic "this book of the bible came from XYZ". I'm talking about details at the grainularity of a single verse. I.e, for each verse, trace it's lineage, through all the translations, back to the original inspired writers. When using an apparatus, you should become familiar with the distinction between the texts (Say, codex Sinaiticus, an aleph, vs. Codex Vaticanus, a B, what a papyri is, what an Mss. Is, etc.) 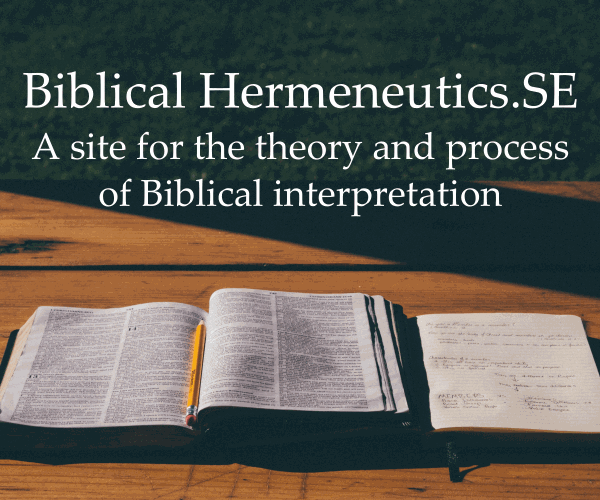 This link, a guide to the critical apparatus of the BHS (Biblica Hebraica Stugartensia) does a pretty good job of explaining the approach that scholars use in determining the lineage of a text. TEXT: "so that our joy may be made full"
NOTES: "so that your joy may be made full"
OTHER: "so that my joy may be made full"
COMMENTS: In later Greek the words for "our" and "plyour" were pronounced alike. It is likely that copyists misheard "our" as "your," influenced by the two previous occurrences of "you" in the verse. In this instance, particular attention should be paid to the "Evidence" entry. Each letter or abbreviation refers to a particular manuscript that contains the variant. 3 tc ‡ Most witnesses ([א] A P 1739 Ï sy) have καί (kai, “also”) before the article τόν (ton). But the external evidence for the shorter reading is significant (B Ψ 048vid 33 pc sa), and the conjunction looks to be a motivated reading in which scribes emulated the wording of 4:21 (ἀγαπᾷ καὶ τόν, agapa kai ton). NA27 places the conjunction in brackets, indicating doubts as to its authenticity. Again, notice the 'most witnesses' and the list of manuscripts. The 'A' representing Tischendorf's stolen Codex Sinaiticus is properly called א in this work. What are the name(s) of the archaeological artifact(s)/scroll(s) where the New Testament was based? Why are there so many translations of the Bible? Does Jeremiah 8:8 imply that the scriptures were corrupted? Where can I find scans of original Biblical manuscripts? What is “Manuscript Evidence” and how is it useful? What major discrepancies exist between “versions” of the Bible? How many New Testament manuscripts do we really have? Where do primary sources for the Bible reside? How should we judge the trustworthiness of a given Bible translation? In what situations does the Bible say it's acceptable, perhaps, to do an action you might consider sinful? How to pronounce references in the Bible? How do i get the original text of the bible? What was the charge that was given by the Jewish court to Jesus? Are subheaders of Bible chapters part of the original text?